Could you survive a week in a haunted house? Mara is the daughter of spiritualists. Her childhood was filled with séances, scam mediums and talk of ghostly presences. When Mara finally left her family’s home, she vowed she would never allow superstition or false religion into her life again. Now she’s ready to start over with her fiancé, Neil, in a world based on rationality and facts. But her past isn’t ready to let her go just yet. Mara and Neil purchase Blackwood House, a derelict property outside of town. They’re warned about strange occurrences in the crumbling building. Doors open by themselves, voices whisper in the night, bloody handprints appear on the walls, and cold spots linger in the basement, where the house’s original owner was murdered. 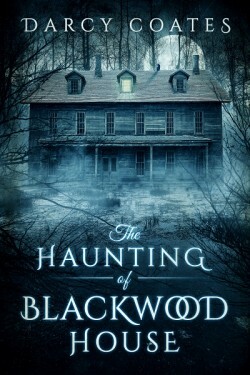 But Blackwood was dirt-cheap and came with a large plot of overgrown land. Mara loves her new home, and disregards the warnings.